With a career spanning a little over 50 years, David McCallum is a face most of us, young and old, recognize. From eccentric coroner Ducky on ‘NCIS’; elemental time-fighter Steel on ‘Sapphire and Steel’; Ilya Kuryakin fighting the sinister group T.H.R.U.S.H in ‘The Man from UNCLE’, and countless other incarnations – he has entertained and enthralled generations, but how many know of his other talents as a musician, composer, and photographer? Hopefully this interview David kindly let us conduct will help shed some light on those unknown depths of his deep artistic skill. Can I ask what made you change your direction from music to acting? I was very young and involved in local theatre. In the local school hall, an amateur theatre company produced an evening of recitations, singers and soloists. These were intermingled with one or two scenes from plays. I played the part of the doomed prince in the dungeon in Shakespeare’s ‘King John’. I pleaded – unsuccessfully – with the assassin not to kill me. It is a real tear-jerker and audience applauded loudly at the end. It was in that moment I realized once and for all that my home in this world was on a stage. My efforts didn’t require homework or lengthy musical practice. The oboe took second place from that moment on. I did what was necessary in school and sought work at the earliest opportunity. ‘Whom the Gods Love, Die Young’ was the first part – oddly enough playing another doomed royal. It was on BBC Radio in 1946, the year I joined Equity. How did your parents take your decision to concentrate your energies on theatre? Their philosophy was simple. My mother and father gave my brother and I a secure environment that allowed us to go out and achieve our maximum potential. They never interfered, only encouraged. We both made our own decisions and lived by the consequences. I knew my father felt that music would give me a better standard of living than the vicissitudes of the theatre but he didn’t say it openly. When he came to the premier of ‘Robbery Under Arms’ at the Odeon Leicester Square several years later, my name was in large letters on the side of the building. By then I think he realized that I had probably made the right choice. Even though you moved fully into acting, did music still play a part in your life? Did you still play the oboe in your spare time? I still have my oboe. When doing ‘The Man from UNCLE’, I conducted several albums at Capitol. Top forty arranged by HB Barnum for woodwind and four French horns. Later, in ‘Motherlove’ on television I played an orchestral conductor and had the pleasure of conducting the BBC Symphony Orchestra in Mozart and Prokofiev. With the series of albums you produced, they were very unique compared to other stars music of the time (and still are) in that you composed and arranged over just singing. Why did you choose this approach over typical ‘pop’ albums which I assume studios must have pushed for? I played Arthur in ‘Camelot’ some time after I left the MFU and to do this I trained with a singing coach. Up to then, I had never really sung professionally. Back at Capitol my voice was totally untrained. I am not one to step up to the plate and hope for the best. As I knew what I knew musically, we went orchestral. There exists a couple of singles where I spoke/sang/wrote a 45 rpm called Communication and I sang (after a fashion) on the titles of the MGM movie ‘Three Bites of the Apple’. The song I sang was written by Domenico Modugno of Volare fame. Are there any composers whose music you turn to more than others? Berlioz, Mozart, Bach, Haydn, Wagner, Puccini and, of course, Verdi. Can you tell me when and why you took up photography as a pastime? I was a great admirer of Cartier Bresson. When I started getting serious, I bought a Leica. 3F as I remember. I have always had a camera and particularly enjoy the reportage element of photography. Knowing I would one day direct film, I studied the art. I now use a digital Canon and am slowly learning how to use Photoshop. 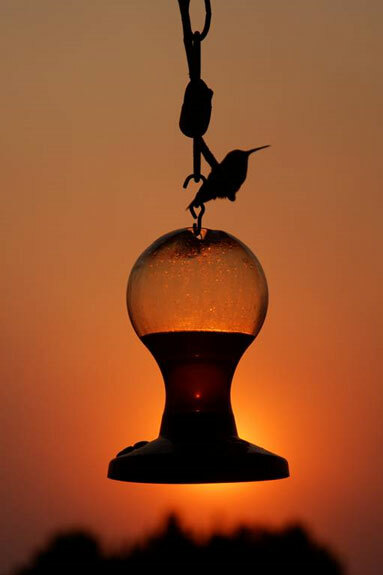 This hummingbird photograph is fantastic. Do you exhibit? I show only to the family and a few friends. My pictures are mostly a personal record. However, [this] is a humming bird on my balcony sheltering from the smoke that fills the sky here when the hills burn. Are there any photographers other than Bresson you admire? Those National Geographic photographers that go off for months to remote places and take awesome pictures of the planet and its inhabitants. The assignment always looks a little crazy but the results are amazing. Harry Benson is another I admire, particularly his reportage pictures – the policeman at the car crash comes to mind – and of course the time he spent at the White House during the Nixon years. With regards to the National Geographic photographers, is that something you would have liked to have done? Yes. Provided I had no commitments – which is highly unlikely. It would be a superb creative opportunity to capture images. Are there corners of the world you would like to explore with your camera, if National Geographic ever called? The Amazon basin would be a good start. Then the ocean somewhere remote when it is angry: I find waves hypnotic. You sound like you have quite a passion for these places. Have you ever visited the Amazon? Have you ever travelled to anywhere in the past that you’d like to return to, camera in hand? I have never been to South America. Sad, but true. The Sahara is somewhere I would like to go back to. I directed a documentary on the life of Charles Montague Doughty for the BBC in Morocco many years ago. We lived with the Bedouin for a while and the nights were magical. The film is now in the Time Life Library. Do you admire any other explorers in the tradition of Charles Doughty? Very few explorers went totally alone as Doughty did. Most had a prodigious number of bearers or crew and assistants. Can you describe your time with the Bedouin? When under the stars with the Bedouin I was made aware how little has changed over the centuries. In that sometimes harsh and desolate environment many of the writings in the Bible came into perspective. Although brief, my stay there was a truly mystic experience. Outside of classical, what other musical genres interest you and why? The 60’s. Nothing since. Sad, but true. Can I ask what it is about 60’s music that you enjoy? Are there any specific bands or artists that you prefer listening to, and why? It is difficult to understand the power of that era unless you experienced it. The revolution that took place was a protest and a need to escape. The war dominated the news and it was rarely positive. An attitude of ‘freedom from the establishment’ arose that completely changed the American way of life. A specific sixties culture emerged that appealed in some way to every generation. The word ‘hippie’ entered the vernacular. Gaudily painted VW buses proliferated. All this to the accompaniment of the Beach Boys, the Supremes. the Mamas and the Papas and the likes of Peter, Paul and Mary with Puff, the Magic Dragon.